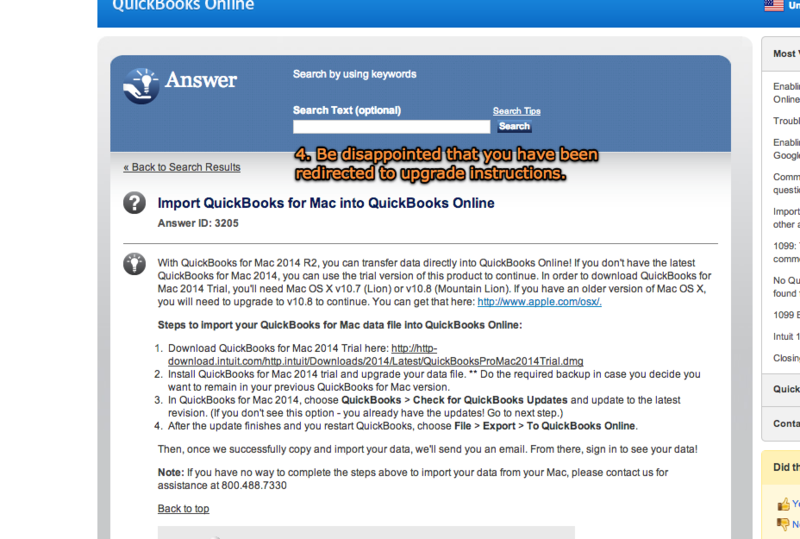 Importing Quickbooks 2011 for Mac to Quickbooks Online. I update Quickbooks when its necessary. It’s not a favorite application, but my accountant likes it. For various reasons, I want to try out their new cloud edition. So, they imply they support importing 2011 desktop data to the online edition, but when you go to do the job, you realize they only support 2011 in Windows versions. They support it for Mac in the sense that they tell you to go upgrade to 2014 first, thanks. Ok, so here’s what I did. I have a Windows VM using VMWare Fusion which I use for Windows problems. for the purpose of importing only. Note: They explicitly point out that this version is not registerable, so don’t try that. It’s only for these kind of recovery purposes. My VM has a shared directory with my Mac, so I saved my Quickbooks company file using the File -> Backup to Quickbooks for Windows feature, and then in the Windows version of Quickbooks restored that backup (not the same as Opening, lest ye be surprised). I was warned that this process was one-way, for what it’s worth. 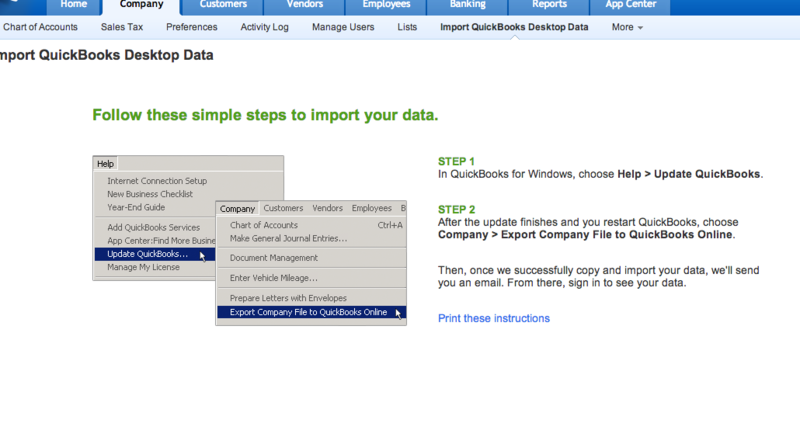 Now that my company file is in Quickbooks 2011 Windows edition, I can import it to my Online account. Hilariously, you might not be not done with updates though. 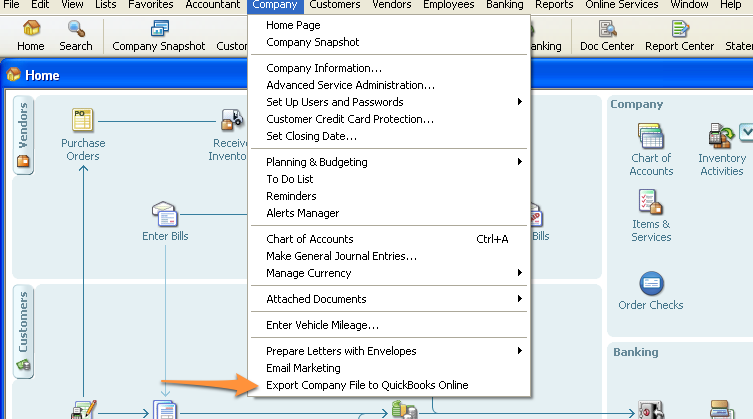 Look under the Company menu, do you see an Export Company File to Quickbooks Online option? No? Choose Help -> Update Quickbooks, and make certain everything is up to date. 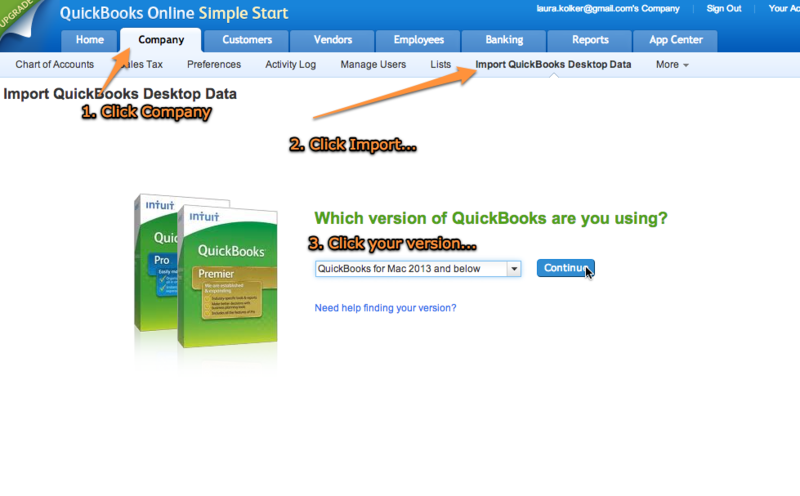 Now, we are finally ready, choose Company -> Export Company File to Quickbooks Online, and provide your intuit account, follow the prompts, tell it if you want to overwrite or create a new online file, etc. Give it a minute. You’ll get an email once the import is complete.